The U.S. healthcare system is undergoing a major scientific and philosophical evolution, and patients are demanding natural, evidence-based practices and preventative services. This transition is creating a need for health professionals with a passion for integrative healthcare, and the Midwest is desperate for professionals who can provide innovative solutions to ailments, mental health disorders, and overall wellness. The Pacific College of Oriental Medicine’s acupuncture doctorate and master’s programs are uniquely positioned to help future healthcare professionals lead the holistic healthcare movement in Chicago, inspiring a deep and lasting respect for the integrity of the human body, mind, and spirit. Doctor of Acupuncture and Chinese Medicine (DACM) or Doctor of Acupuncture (DAc): These entry-level doctorates in acupuncture and Chinese medicine train practitioners to function as independent healthcare providers. Masters of Science in Acupuncture (MSAc): This program helps students become eligible for the national certification examinations from NCCAOM and allows the student to become licensed in states that regulate acupuncture and Oriental medicine using the NCCAOM exam. As this program does not require herbology, it’s a shorter duration than the DACM. 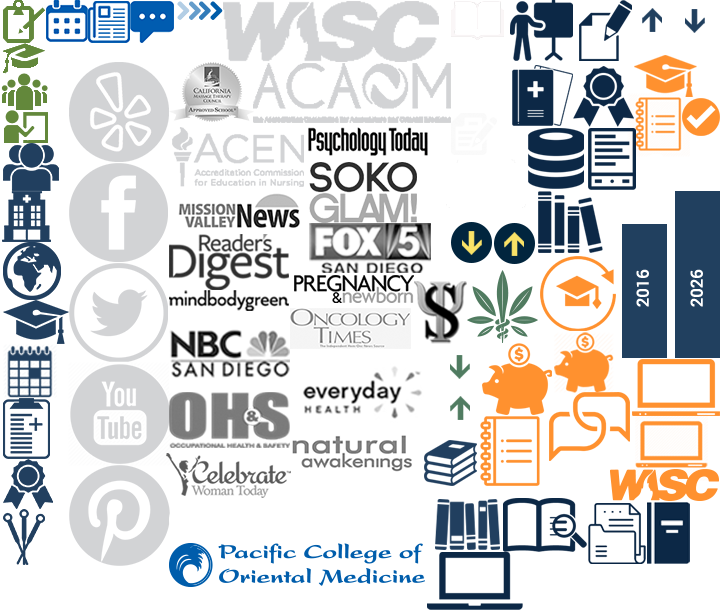 Transitional Doctorate for Master’s Graduates: Pacific College of Oriental Medicine designed this online pathway to a doctorate for previous graduates of Oriental medicine or acupuncture master’s programs (or equivalent). The World Health Organization has cited acupuncture as a potent treatment for a wide array of ailments and conditions, such as back pain, headaches, insomnia, infertility, sports injuries, and heart problems. Plus, with an estimated 20 percent of the U.S. population suffering from low back pain, The American College of Physicians recently issued a new set of guidelines that support acupuncture as an effective alternative to opioids for pain. Due to the broad recognition of acupuncture among established health professionals as the leading treatment for common ailments, healthcare organizations across the world are actively seeking trained acupuncturists with backgrounds in biomedicine and holistic healing. As interest in alternative treatments and holistic care increases among the U.S. population, acupuncture is gaining early acceptance from proponents of natural and organic lifestyles. The acupuncture program at the Pacific College acupuncture school in Chicago will speak to these individuals and others who are already passionate about naturally restoring balance within the human body. Our program has been designed for individuals seeking to turn their passion into a rewarding career in the field of acupuncture. Pacific College acupuncture courses expertly blend biomedicine-based practices with traditional holistic healing to capture the strengths and efficacy of each domain. Recently, CNS Neuroscience and Therapeutics published a review that proposed acupuncture as a comparable alternative to using cognitive-behavioral therapy to treat anxiety. More and more health practitioners are advocating for the expansion of the practice of acupuncture, and the role of Chinese medicine within the Western healthcare landscape will play a heavier role in shaping future perspective on holistic care. The acupuncture courses at the Pacific College acupuncture school in Chicago were designed to challenge and motivate students to grow personally and professionally to become leaders within their local communities. As of 2014, roughly 30,000 licensed acupuncturists worked in spas, cancer clinics, physical therapy and chiropractor offices, hospitals, educational institutions, and national and state agencies. 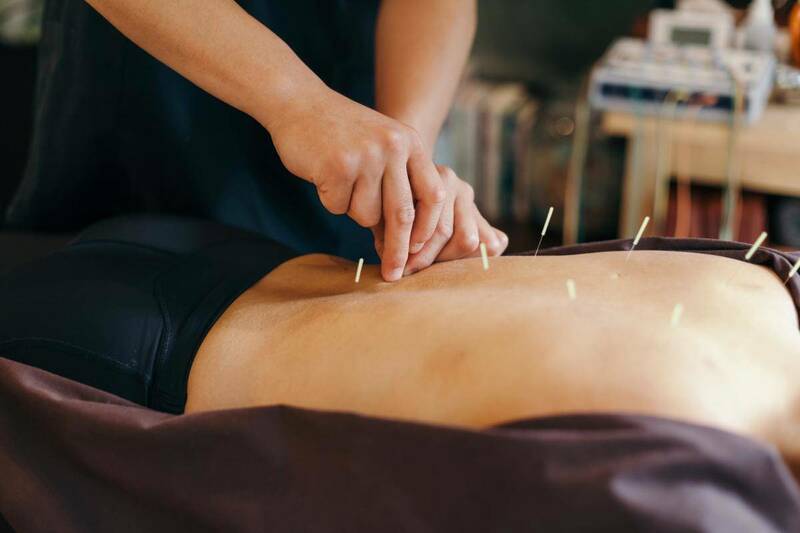 The demand for acupuncturists is set to increase, partly due to new clinical studies that highlight acupuncture as an effective alternative treatment for pain. Since 1986, those with a calling to heal and promote overall health in the mind and body have been led to the programs at Pacific College of Oriental Medicine. Graduates are prepared to both prevent and remedy pain, discomfort, and disease through practices such as massage therapy, acupuncture, and holistic nursing. If you think a career in holistic medicine is something you would like to pursue, contact us and speak to an admissions representative to get started on your new journey!